Black Friday has a well-earned reputation as a good time to kit yourself out with an obscenely discounted television, but what are you going to watch on your fancy new Ultra HD-enabled gogglebox? Fortunately, Now TV has a pretty compelling answer. The Sky-owned contract-free TV service has slashed the cost of its Sky Cinema, Sky Sports and Entertainment passes ready for Black Friday. So there's no excuse for missing the best Christmas themed movies, must-watch series everyone is talking about, or Boxing Day football match. First up, the Sky Cinema Pass is now half price. This allows access to over 1,000 movies on-demand from the Sky Cinema catalogue, including new releases like Darkest Hour, Game Night, Three Billboards Outside Ebbing Missouri, Coco and Black Panther, to name a few. Now TV's Sky Cinema Pass typically costs £9.99 a a month. However, the Black Friday deal offers 2 months for £9.99. For those who don't want to miss all the sport over the Christmas period – not to mention into the New Year, there's a stellar Black Friday discount for that too. Now TV is offering a colossal 9 months of the Sports Pass for £179. Without the Black Friday discount, that would set you back £305.91. That's a saving of some 40%. Finally, the Entertainment Pass has also dropped in price for the Black Friday sales. Like the Sky Cinema deal, Now TV is offering two months for the price of one with this deal – dropping the price from £15.98 to £7.99. For those who don't know, the Entertainment Pass includes access to a 11 channels, including Sky Atlantic, FOX, Comedy Central, MTV, as well as 300 on-demand Box Sets. 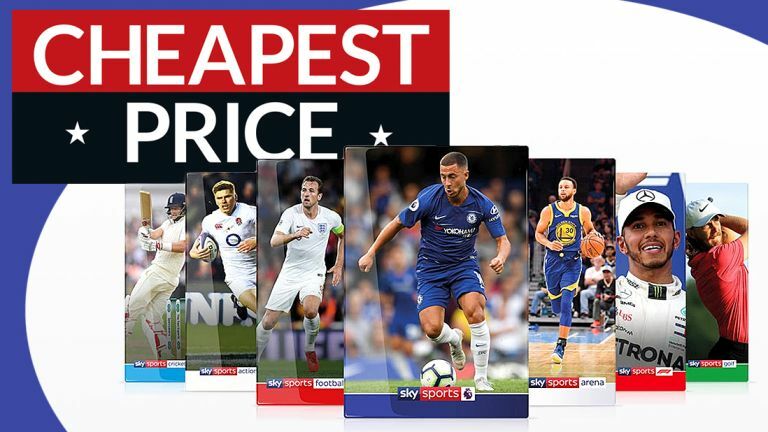 And if you'd rather get access to Sky Cinema, Sky Sports, Sky Atlantic, and the like via the traditional method, Sky TV is offering some bumper discounts to its Sky Q satellite package for the Black Friday sales. The television provider is currently offering its flagship 2TB Sky Q box with Sky Cinema HD, Netflix HD subscription, Sky Entertainment, as well as multi-room for £55 a month. And as if that wasn't enough to sell you, Sky is throwing in a free 43-inch LG Ultra HD TV to watch all of your new channels and on-demand box sets as well.